All exhibitor information is listed below, but please feel free to call us anytime at 801.822.1333 with questions. You can supply your own booth items but we will have an excellent decorator/supplier available through Modern Expo. Your booth is simply your space with black piper and drape (8' back wall and 3' sides) and Modern can supply everything else except internet connections (see below). Many commonly ordered items include draped tables, chairs, carpet and electricity. Click here to download an Exhibitor Packet from Modern Expo. You may bring in your own booth items as well. * Material handing fees are expensive. Be sure to know the costs before you ship or receive anything on site at the show.  Internet (wired or wireless) is available solely through the Mountain America Expo Center. Cost is $40/day per device. Call 385.468.2260 to order internet. Presenters may also need to arrange internet for presentations. You can pre-order here. * Solid side walls on your booth may not extend farther than halfway to the front of the booth. This is so we don't block the view to each other as visitors walk down the aisle. Some shows have designated "full wall" booth areas. Once delivered to Salt Lake City, fees for handling your materials can be expensive. See our material handling notes below. Advanced shipping and/or material handling can be coordinated through Modern Expo Services. Please see the above mentioned Exhibitor Packet for rates and instructions. Please pre-check your costs so you are aware of the charges. Set-up is Thursday, November 1st between 8 a.m. and 6 p.m. The Mountain America Center has good space for an open set-up (come when you want). Drive-ins not allowed during set-up day (too full), but early set-up and drive-in may be available Wednesday afternoon. Call or e-mail for early set-up times. Parking is pretty good at the Mountain American Center. You may park in the back for loading and unloading days only. On show days please use the main front parking lots. Contributing an item to the swag bag is an opportunity to get your brand and products even more exposure to this amazing audience (please no coupons/flyers). The Thursday before the show begins (after setup) we host a VIP party for our most loyal attendees, local bloggers and trendy influencers. Each attendee will receive a SWAG BAG that you can contribute to for free! You will need to bring 400 items with you to setup Thursday morning, and we’ll take care of the rest. The Mountain America Center does not allow giving away drinks, including water, at their shows. If you are dealing with any food items (candy bowls are okay) at the show, you'll need to apply with Utah Food Services, the contracted caterer for the Mountain America Center, to get permission. Click here to get their application to SELL or here to get their application to SAMPLE from your booth. When approved, you will also need to check with the Salt Lake County Health Department to find out if you need a temporary food handlers permit. Some foods do, some foods don't. For information, call (385) 468-3845. Even if you are a current food handler, you may need a temporary permit for the show. Prepackaged candy bowls are fine of course. The state of Utah requires a Utah State Temporary Sales Tax form filled out for those selling merchandise or services. Please fill out this form and return it to specialevent@utah.com or fax the application to 801.297.6359. We're excited at the Pinners Conference to do extensive marketing. It includes a media-wide campaign including KUTV-TV, I-15 billboards, I-15 poster boards and city billboards, magazine, newspaper, ticket distribution points, national DIY and craft organizations, women's group email campaigns, state-wide print promotion and of course many of the nation's most popular bloggers and electronic media. Booth space is available by contacting Pinners at 801.822.1333. Booths are 10' x 10' and 8' x 10' and generally run $799. Bennett Events is a leader in connecting businesses with their custom audience. To download Modern Expo's information packet, click here.